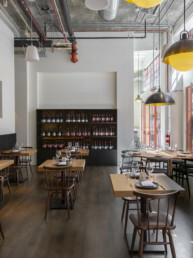 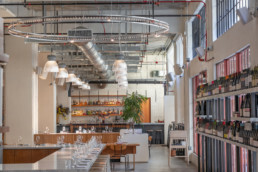 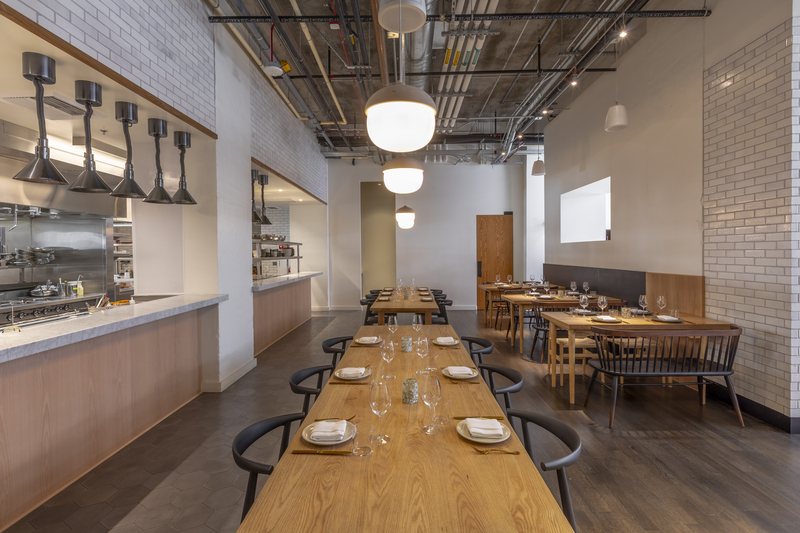 The Manufactory occupies an entire 40,000 SF building of the historic ROW in Downtown Los Angeles and marks Tartine’s first expansion location outside of their home in San Francisco. 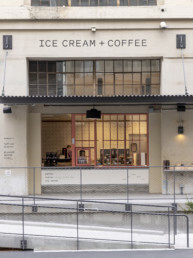 The building was the former American Apparel factory and distribution center Howard CDM constructed years ago. 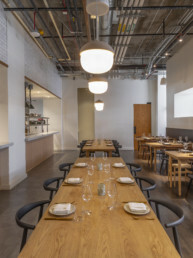 The much anticipated 7,000 SF Tartine Craft Bakery + Flour Mill with on-site baking and a 1,500 SF sunken patio. 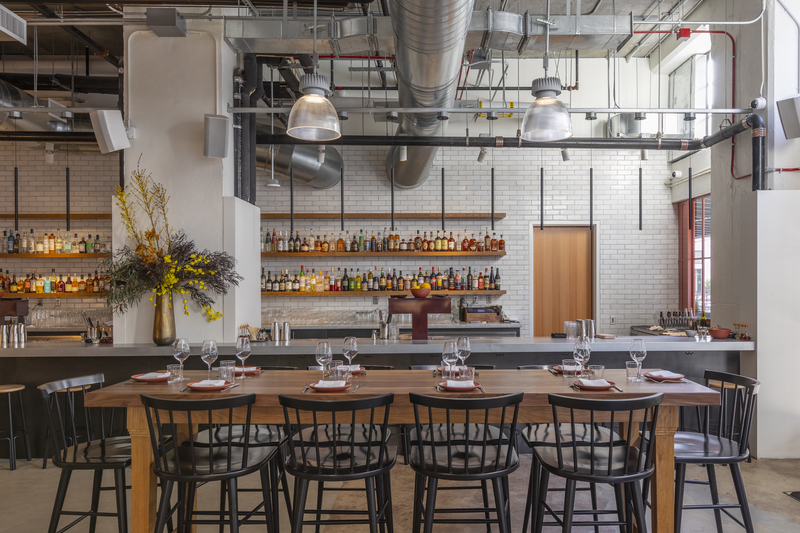 The 2,800 SF Market with made-to-order favorites and a full service bar and 600 SF patio. 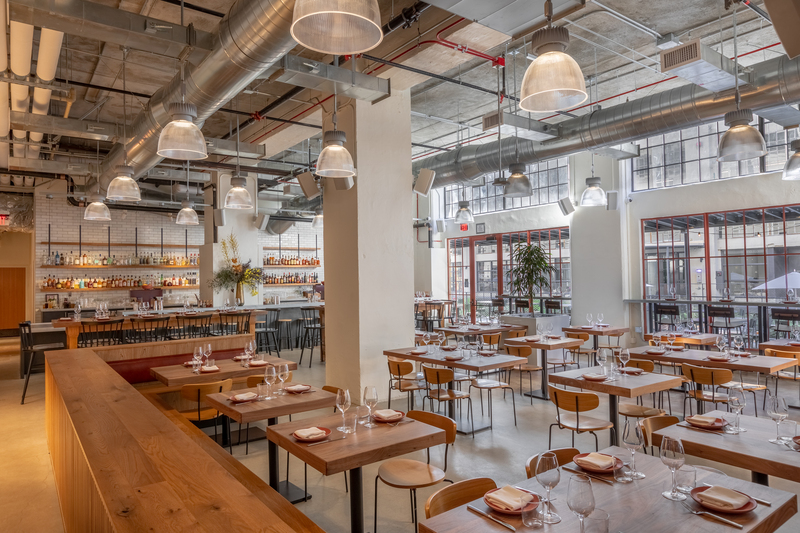 The famous Chris Bianco’s 2,800 SF all-day restaurant with a 900 SF patio, Tartine Bianco, showcasing Tartine bread and fresh, seasonal favorites. 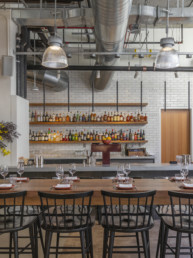 The 2,900 SF Alameda Supper Club, a dinner-only Italian restaurant with a wine room, private dining room, and a 1,250 SF patio. 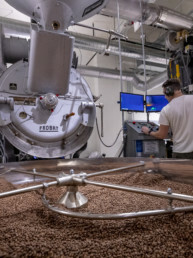 The 1,300 SF plus 400 SF patio Coffee Lab, in partnership with local nut milk and cold brew expert, Califia Farms. 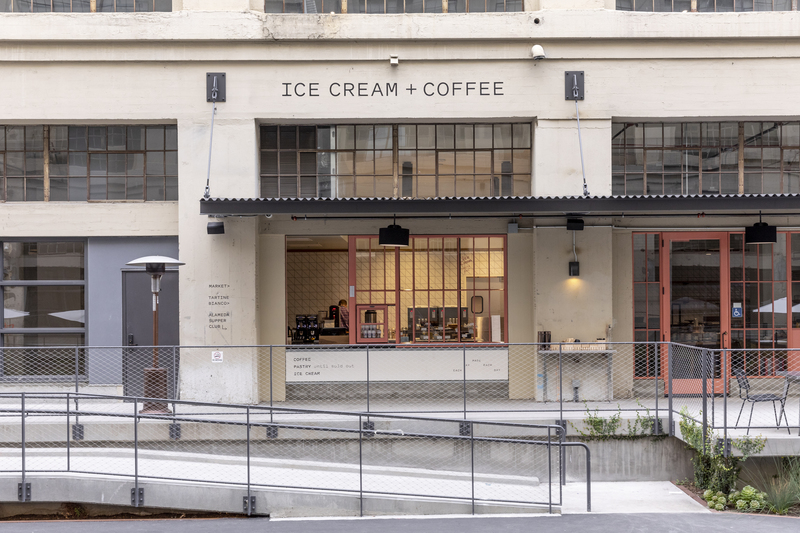 A 700 SF space acting as the back-of-house for the ice cream and coffee walk-up window, serving pastries and all-day coffee service. 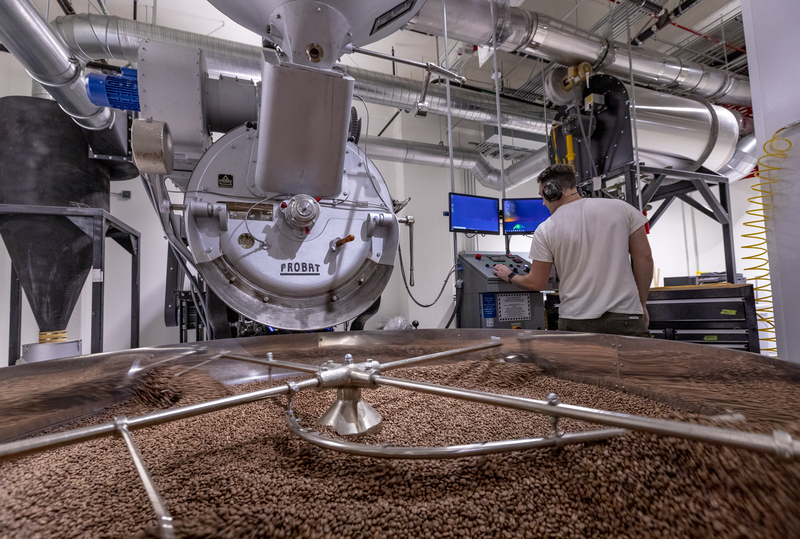 On Level 2, a 8,500 SF prep kitchen, 1,100 SF flour storage, the 3,200 SF coffee roastery, and 2,700 SF of green coffee storage space. 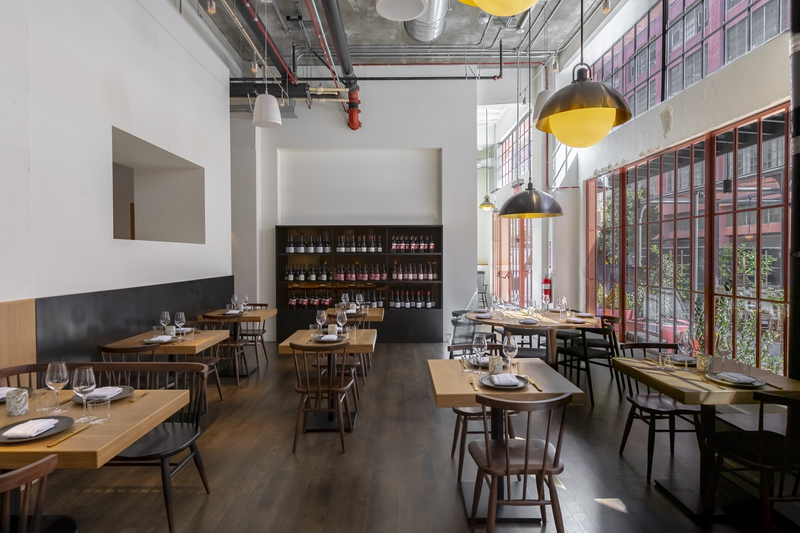 The scope of work also included the installation of new non-bearing interior walls, ceilings, finishes, lighting, awnings and mechanical and electrical distribution plus revisions to the exterior storefronts. 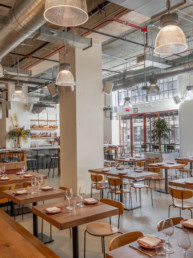 Howard CDM is currently providing pre-construction and general contracting services for the Tartine brand’s three upcoming Greater Los Angeles locations.